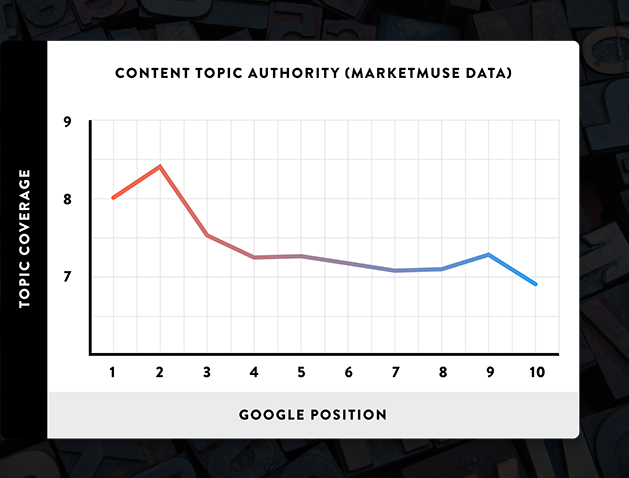 TL;DR: Influential search engines like Google have changed their algorithm to favor topic-based content. As a result, SEOs are exploring a new way of linking related content under a "topic clusters" model. This report serves as a tactical primer for marketers responsible for SEO strategies. Do Topic Clusters Actually Impact SERPs? How Do I Create a Topic Cluster? While you cheerfully (or apathetically) browse the web, many companies are quietly reconfiguring their webpages in the background. Why? Because competition today to get found in search engine results is intense, and as a result, SEO practices have evolved to a new model being leveraged by many content-focused websites. Changing behavior is the primary driver behind the topic cluster approach. But marketers and SEO experts are not going through the tedious process of overhauling their site structure just to get ahead of consumer behavior. They’re being forced to because search engines have changed their algorithms in response to consumers’ behavioral changes. Years ago, people posed fragmented keyword queries to search engines to find answers to their questions. Nowadays, most are comfortable posing complex questions to a search engine, and they expect an accurate and timely result. Searchers who want a specific answer also use many different phrases in their queries. And now search engines are smart enough to recognize the connections across queries. Algorithms have evolved to the point where they can understand the topical context behind the search intent, tie it back to similar searches they have encountered in the past, and deliver web pages that best answer the query. The first big shake-up related to this change occurred with Google's Hummingbird update in 2013. The search algorithm began parsing out phrases rather than focusing solely on keywords. Many SEO professionals see Hummingbird as Google’s official switch from a keyword to a topic focus. The next major step toward reliance on topics occurred with Google’s RankBrain update. Launched in 2015, RankBrain is Google’s machine learning algorithm designed to understand the context of people’s search queries. It associates past searches with similar themes and pulls multiple keywords and phrases that are associated with the search query to find the best results. 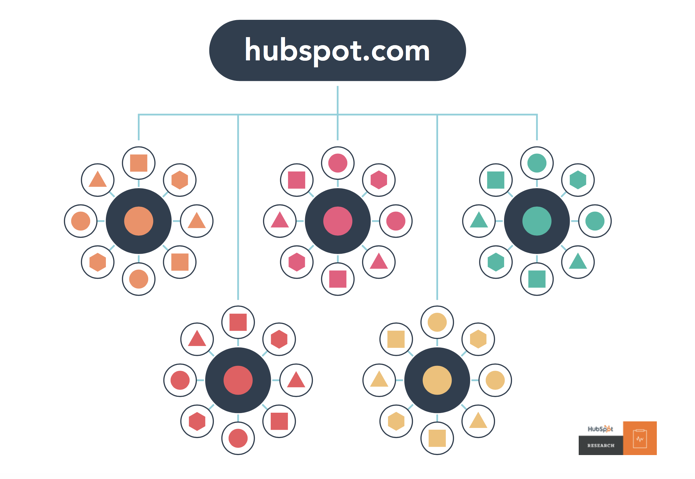 Before the shift to topic clusters, HubSpot’s website structure looked like the image below. The master URL hosts the homepage and links to subdomains or subdirectories. Using HubSpot as an example, you can see the spread of web pages within our blog subdomains. As HubSpot produces more content, blog pages proliferate and the structure becomes spread out and complex, with no uniform linking structure in place. This setup makes it harder for search engines to crawl through all the pages quickly. Further, HubSpot, and many similar businesses that invest in content, find themselves with dozens of web pages that cover similar topic areas. All these pages end up competing with each other to get found by search engines, and ultimately, the searcher. A more orderly, thoughtful arrangement is needed -- one that tells search engines what page should be prioritized and displayed for a main topic and then organizes all the pages related to that topic in one interlinked cluster. Topic clusters rearrange the architecture to look more like the image below, where clusters of content that cover a topic area link to a central pillar page that definitively -- yet broadly -- outlines the topic. By linking all internal content within that topic to a pillar page, search engines such as Google, Bing, or Yandex can easily scan all the content and understand that there is a semantic relationship between the pages' content. The cluster setup also signals to search engines that there is real breadth and depth in the content, which gives the pillar page more authority on the topic. Algorithms like Google’s RankBrain reward this orderly linking with higher search placement. Let’s use the topic of “content marketing” as an example. Audit your existing content pages and group them by topic focus. 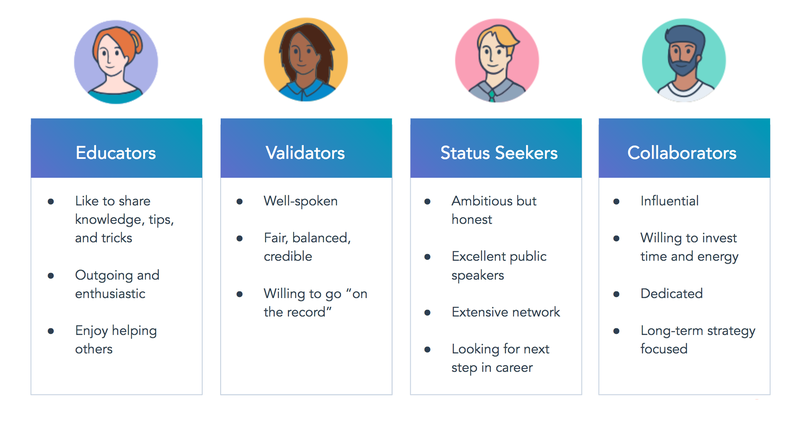 If needed, create a pillar page on content marketing that captures all the key aspects of the topic in a single page (see the example below). 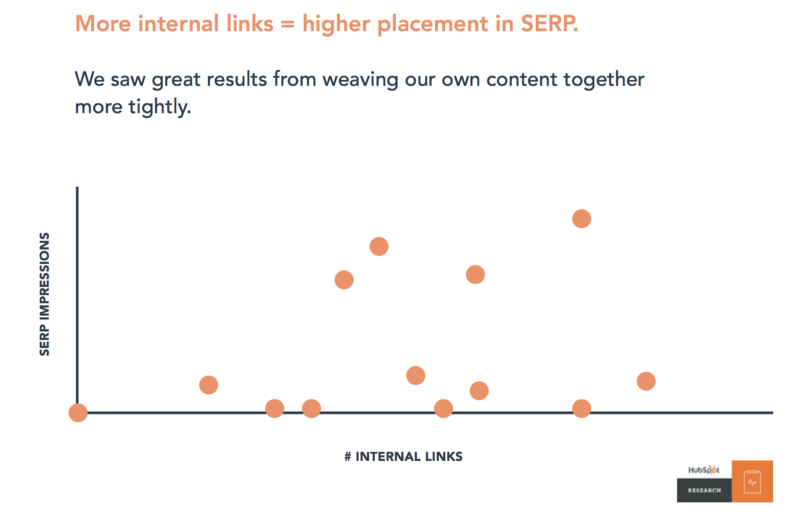 Take note that pillar pages need to broadly cover the topic you’re focusing on so that it makes sense to tie to all of the cluster content linking to it. 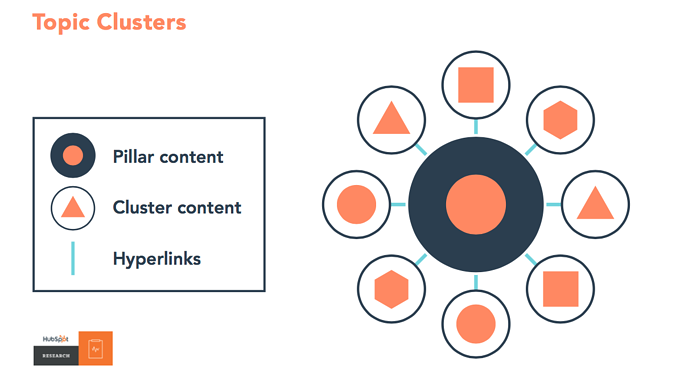 The cluster content you create or optimize should go into depth on just one area mentioned on the pillar page. 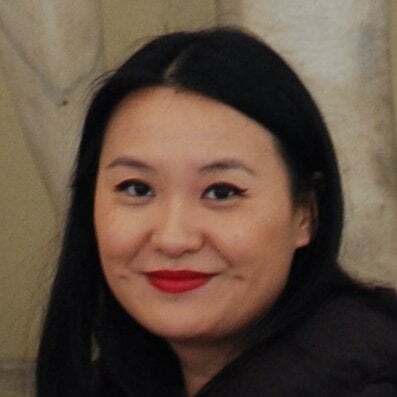 For example: If you have a pillar page on search engine optimization, a cluster content page would detail how to optimize your site architecture for search engines. The key is to think of your content assets in terms of topics you want your business to compete in, rather than discrete keywords. The keywords can still play into your overall strategy, but topics are now the umbrella under which your keyword strategy operates. “When considering whether something should be called a pillar page or not, ask yourself this: Would this page answer every question the reader who searched X keyword had, AND is it broad enough to be an umbrella for 20-30 posts? 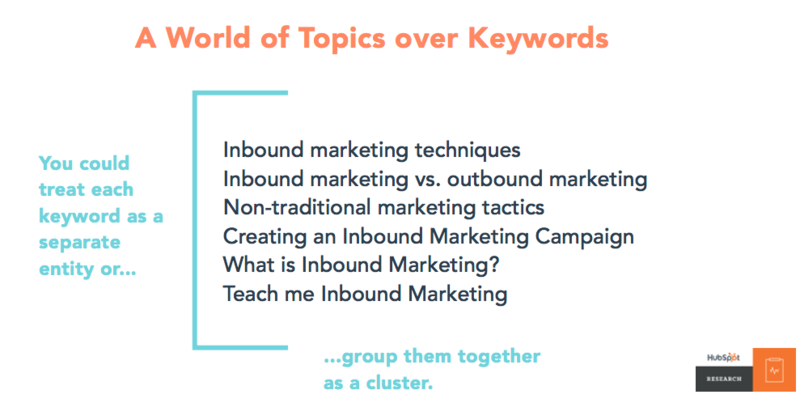 In the example below, if you wanted to own the term “inbound marketing,” you would research related topics or long-tail keywords, create content on those subtopics, and then link back to an inbound marketing pillar page to create your cluster. Once you have a designated pillar page, update the links in the related content pages you’ve identified to form a “cluster” around the pillar page. Every post in the cluster set needs to be linked to at least once with the same anchor text (the part that is hyperlinked) so that a search engine knows it’s part of a topic cluster. Over time, monitor the pillar page's ranking within search engines. When your ranking stabilizes and you’ve grown your authority on the topic, you can take the chain of clusters further by linking out to a related topic. A natural follow up cluster to the “content marketing” topic could be the next step in the content marketing process, such as how to create content that converts. Choosing a topic to focus on and building out cluster content plans can be daunting, and auditing historical content can be downright painful, especially if your company has an extensive archive. We have a few suggestions to organize and create topic clusters today. Map out five to ten core problems that your buyer persona has. Use surveys, run interviews, and do some secondary research within online communities as needed to gather the data. Create content, measure the impact, and refine. To keep track of content and links within a topic cluster, teams can set up a sheet like the one below. Depending on the complexity of the topic and the number of pages you’re linking to, some of the categories may not be necessary. Many companies are also developing tools to help marketing teams organize content around topics. 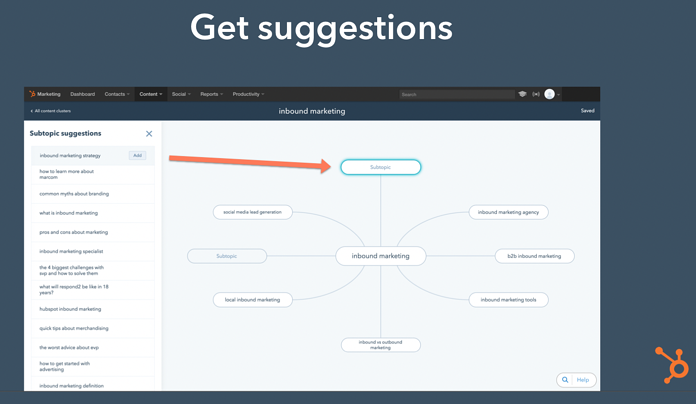 Point solutions on the market, such as MarketMuse, identifies content gaps and can help you organize and optimize content by topic cluster. 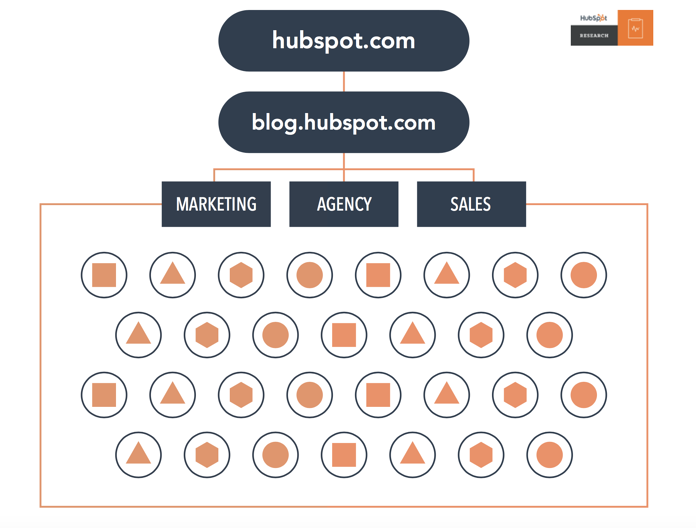 HubSpot also has a Content Strategy tool to help customers help create, execute, and measure content in topics. Machine learning helps marketers identify the cluster topics (or long-tail keywords) that their target personas typically search for and offers subtopic suggestions. Soon, there will be more tools to help SEOs and marketers create topic clusters and maximize their content strategies.